Scenic rolling hills and exceptional farmland make North Middletown a premium location for various types of farms. A great place for agriculture and hobby farms, North Middletown is actually best known for being home to some of the world's best racing and show horses. 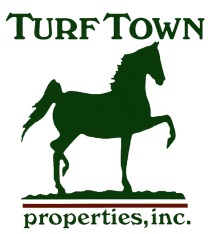 Some of the most famous thoroughbred horse farms are located in North Middletown, siring sensational competition stallions and cementing their status as an exceptional location for horse farming. North Middletown, KY farms for sale offer high-quality soil, beautiful scenery, lush, rolling hills, and more. This idyllic community is perfect for raising horses and other livestock. Explore North Middletown land and farms for sale below or learn about the area and what buyers can find here! Compared to other local Kentucky communities, North Middletown is small. With a population of about 650 people, this little community contains all the charming features that small-town seekers look for. North Middletown is located at the junction of KY 57 and US 460, in the heart of Bourbon County, which is known as the birthplace of bourbon whiskey. This central location makes it easy to travel to nearby communities like Paris, which is only a few miles away. 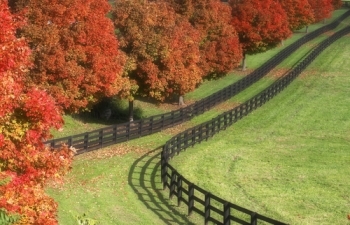 Farms for sale in North Middletown, KY consist of some of the best thoroughbred and saddlebred horses in the world. Notably, North Middletown was the first place to breed saddlebred horses, and it continues to play a prominent role and uphold excellent pedigree standards. Horse culture runs deep in North Middletown. With its small population and few number of available horse farms, this is one of the most exclusive areas in Central Kentucky. However, some of the most famous thoroughbred horse farms are located here including Adena Springs, Darley, Creekside, and Xalapa. North Middletown is small, and there are few major amenities in the area. However, many farm owners prefer small town livng because of the privacy and exclusivity that comes with country living. Major metropolitan areas like Lexington and Winchester are less than 20 miles away, making it easy for North Middletown homeowners to travel to the city when they desire and enjoy big city amenities. Some other North Middletown community highlights include the low cost of living. Many properties in the area are more affordable than other parts of Kentucky. With a beautiful climate and sunny, warm weather, North Middletown is a peaceful and comfortable area to live in.